View basket “CHILD TICKET” has been added to your basket. This ticket admits 1 person only, over the age of 18. 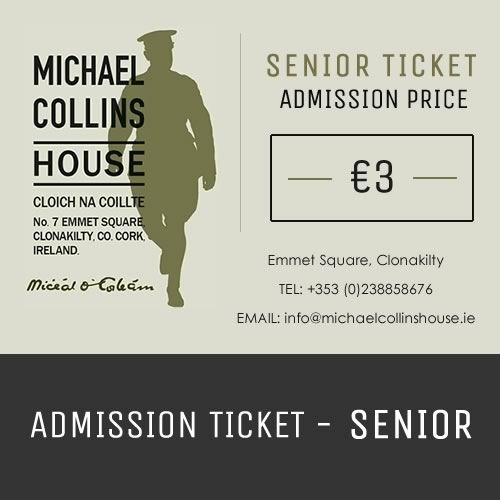 Copyright © Michael Collins House- All Rights Reserved.